The 24th annual Pan Pacific Matsuri in Hawaii Parade brought a splash of Japanese culture to Waikiki yesterday. 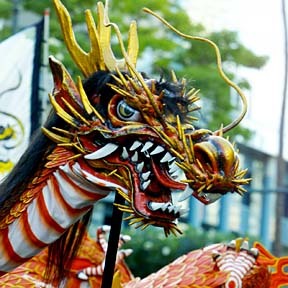 Here, a flying dragon from Ryujin Densetsu, of Japan, joined the procession. »Wheeler to host "Race for Life"